Early care and education exists at the intersection of health, welfare, and education. Each of these fields is governed by its own set of values and political constraints, which can result in policy fragmentation and a lack of coherence. This fragmentation affects access to, and the quality of, the programs and services needed to support our youngest learners. The Education program’s Enabling Conditions portfolio aims to positively influence the quality of early care and education programs and services for young children from birth through 3rd grade. 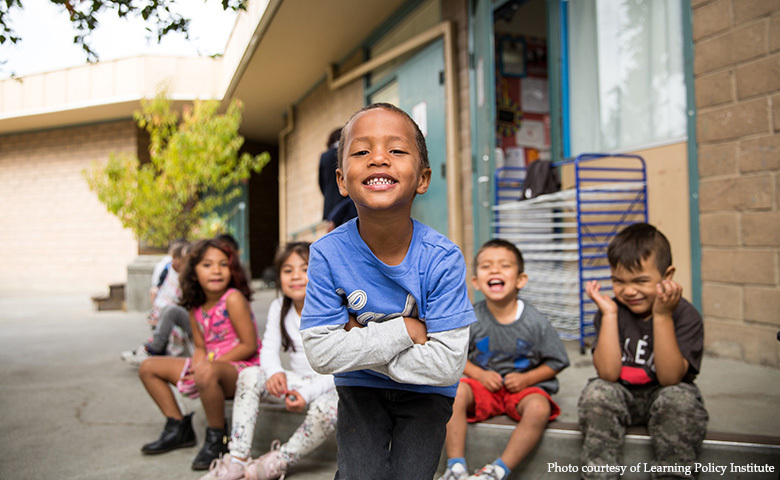 This strategy focuses on creating the systemic conditions that enable high-quality interactions between children and adults, and that foster positive learning environments, both nationally and in California. Grants in this portfolio are organized under a series of major initiatives that focus on promoting the development of coherent early childhood education systems. The first two major initiatives are described below. Additional major initiatives will follow over the next few years. This portfolio also includes support for policy advocacy, policy analysis, and applied policy and systems research. The Stabilizing the Early Childhood Education Workforce initiative focuses on ensuring that all professionals in the early childhood education workforce at the national level have the knowledge, skills, and institutional supports needed to effectively foster young children’s growth and development. The Data for Action initiative focuses on enabling public agencies in California to use high-quality integrated data to inform policies and practices that will ultimately create an integrated, family-driven system of services for young children.